Аспид’s (Aspid) lost early 90s technical speed metal album, Кровоизлияние (Extravasation), has been released as a pay as you go, CD-quality lossless FLAC digital download on Bandcamp by Metal Race. Prior to Metal Race’s recent CD from the original DAT tape of the mix supplied by the band that was hard to get outside of Russia, Кровоизлияние was only available on the extremely limited original LP and a horrible sounding CD from a secondary source that was slightly sped up. Listeners worldwide may now enjoy some of the best post 1980s speed metal, resembling a more progressive Destruction. Dream Theater’s upcoming album is certainly high concept, although I don’t foresee the results being anything other than the usual technically accomplished vaguely progressive power metal they always put out. 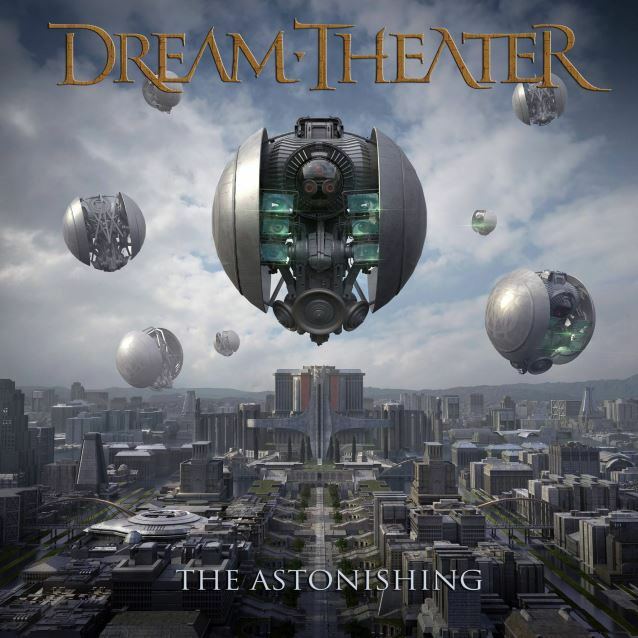 As part of the buildup to the scheduled 2016 release of The Astonishing, the band has released a ton of visual and conceptual material, and most recently put up the tracklisting for the album. Other commentators throughout the internet are being psychically assaulted by the sheer 34-ness of the amount of tracks listed; when they recover they often end up claiming that the album will either be excellent or a colossal trainwreck. I’m personally expecting something in the middle, although visual art fans might at least find something of interest in these supplementary materials. 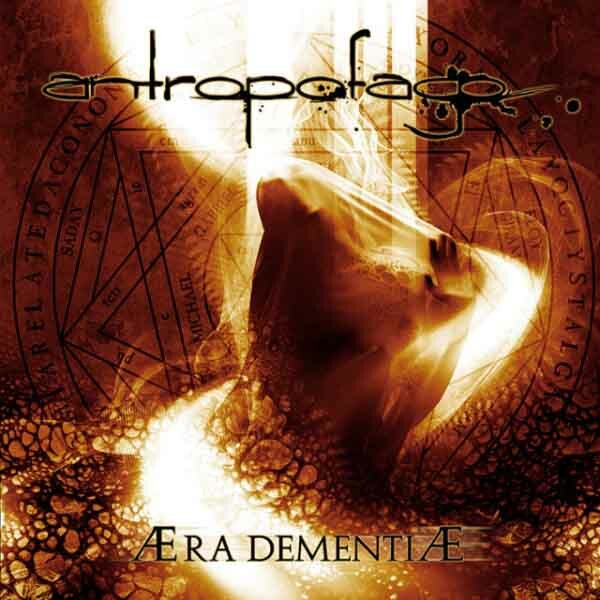 Modern technical metal band Antropofago is set to release Æra Dementiæ, which was originally set to be released in 2014 but has been delayed until this year, August 14th. Limited to 500 copies, Kaotoxin Records will release the album as a deluxe DigiSleeve double CD featuring an expanded version of Between Fear and Madness. Æra Dementiæ, features guest appearances by past and current members of Gorod, Insain, Nephren-Ka and Savage Annihilation. Over the past decade, metal and related genres have shifted toward a highly technical perspective on instrumentalism. Where earlier genres valued the primitive and passionate, bands now tend to begin with a grounding in jazz and progressive rock theory and expand into metal. This raises the bar for entry into the genre, but on the level of mechanics only. Corresponding, creativity seems to have declined in the genre, perhaps because artists with something to communicate — a.k.a. “content” — now face an uphill path toward technical perfection before that content will be accepted in the genre. A similar phenomenon occurred in the classical genre as well. Like metal, this niche genre struggles to keep existing fans while making new ones and not becoming “dumbed-down” like everything else in popular culture. As a result, it has become perfectionist on a technical level, perhaps to the detriment of content, notes an article on the evolution in classical music. Today’s classical musicians are rarely given this choice between expression and perfection. 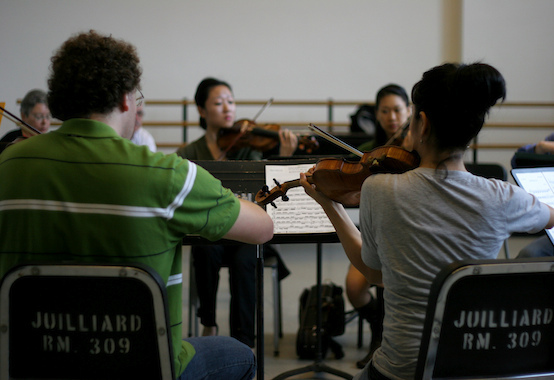 As David Taylor, assistant concertmaster of the Chicago Symphony Orchestra, recently told the Los Angeles Times, “Today, perfection is a requirement. You must have flawless intonation, you must be a machine.” A single missed note or halting phrase could be a musician’s downfall: the end of a job interview, perhaps the end of a career. The article goes on to discuss the impact that technology has had on classical music, namely a lowering of concert attendance and less of a tendency to purchase albums in favor of individual songs. This development threatens the mainstay income of classical musicians, and has driven them toward entrepreneurial ventures including pop music hybrids. While this particular source feels this is a positive development, many of us are not so sure. When commerce takes over any given form, whether art or music or writing, it tends to increase the tangible factors of quality while decreasing the intangible ones, like content or profundity. This in turn drives artists toward increasing degrees of triviality and novelty in an effort to distinguish themselves, with the result that few focus on quality of expression beyond the technical at all. Simultaneously, the knowledge of technical precision becomes democratized or spread widely at low cost, which means that soon the genre floods with highly proficient players who may have no ability to compose, improvise or otherwise contribute anything but “new” recombined versions of what previously existed. In metal, this has been a death knell; let us hope that for classical it is not the same. 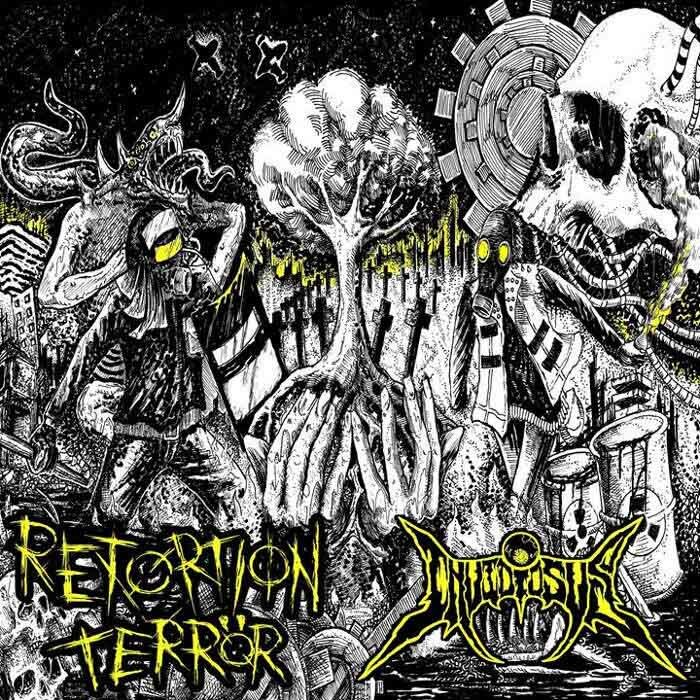 Of all the newer school bands out there, Oblivion struck us here at deathmetal HQ as one of the more imaginative ones. It is clearly of the modern metal model, following the “great contrast” approach in riffing rather than the integrative nature of the old school, but it displays intense creativity and technical mastery. 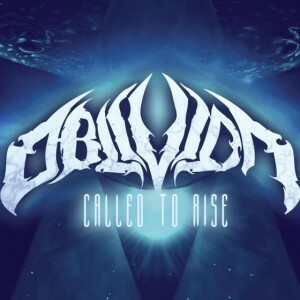 In addition, Oblivion seem to know how to make a song out of a musical idea and not devolve into randomness like so many of their contemporaries. Other aspects of Called to Rise impressed us as well. There’s experimentation with sound on these tracks, a willingness to corrupt the metalcore “great contrast” riffing with some integrative ideas, and an adoption of classical forms, songs and approaches that pushes this album over the top. I resisted Metal as long as I could. I was more of a punk rocker as a teenager, but I realized the awesomeness of Metallica’s “One” when it came out. During the double bass, palm-muted, open-E breakdown I was a secret admirer of metal. Seeing a band from Oakland called Eldopa (1332) sealed the deal. 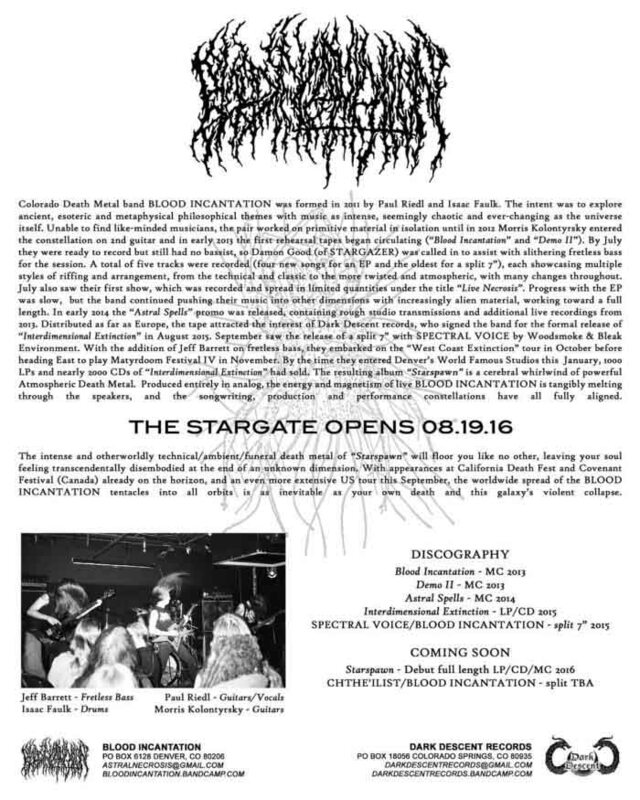 Then my good friend at the time (Ben Orum, who is now in Oblivion), turned me onto Death Metal. For this reason I still think Cannibal Corpse’s The Bleeding and Deicide’s Legion are the best albums from this genre. 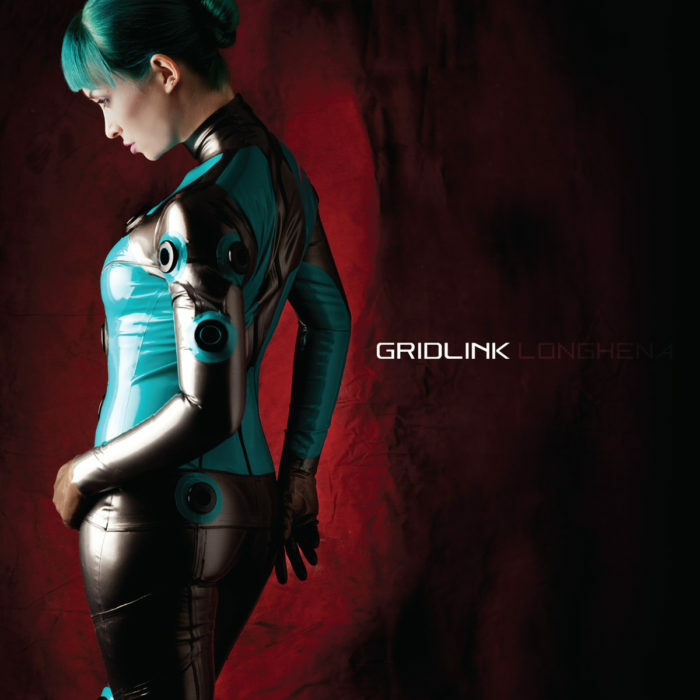 As you grew into metal, what brought you to your current form? How did you all come together, and what types of music and ideas were influencing you at the time? I formed Antagony with Ben, our best friend Carlos Saldana, and our late friend Jody Handy. We just wanted to create the heaviest, darkest music possible. We ended up creating something that was, in hindsight, very influential to other bands that came after us. I stepped away from music for a while, but had the urge to come back and write music that was more technically demanding on the musician and listener. You’ve outlined a clear relationship between classical music and metal on this CD, with three string orchestra pieces and a cover of “Canon in E Minor.” What inspired you to write and cover these pieces? I wanted listeners to hear that there is a direct parallel between these two musics. For instance, when the song “Multiverse” is initially presented it is a metal song because it is played by a metal band. In context we are stuck to this association. But when the song is reprised it is performed by a strong orchestra and we perceive it differently. Perhaps the complexities emerge because we now listen to it and look at it through a different lens. Do you think metal and classical share anything in common? Where did you guys get your technical chops? Are you professionally trained musicians? I don’t like the term “professionally” trained. There are some musicians I know that have never taken up formal music training, but can play better than someone that has been trained since they were a toddler. Every musician picks up something from another. That is how music was taught originally. But to answer the question, yes – Luis and I have been trained academically. Everyone else has either taken guitar lessons with a talented musician and/or learned in from playing with a multitude of other talented musicians. Can you tell us how you got the distortion on your guitars? Are you using pedals, processors, virtual amps, amplifier settings or a combination of the above? We use tube amps with distortion. Ted is sponsored by Rhodes, Ben by ENGL. Do you think metal is evolving? Where do you think it’s going? Yes, Metal is evolving. And it better evolve or it will stagnate and die! Most bands stagnate and eventually die. Movement is necessary to encourage growth and progress. I don’t know where Metal is going. If it follows the same pattern, it will continue to find avenues of transgression. Only to revert back to its fundamentals one day, searching for truth. What’s next for Oblivion? Will you be touring, and/or writing new material? Begin writing our second album. If you could ask fans to do one thing in order to understand your music, what would it be? Do you think metal fans are open-minded or closed-minded or somewhere in between? A paradox of open minded close-mindedness. Now that you’ve completed this massive work of complex metal, what’s the next challenge for you as songwriters? Although there’s a very noodly and “progressive” surface to Azure Emote, what lies beneath the skin is a mixture of speed metal and alternative rock. 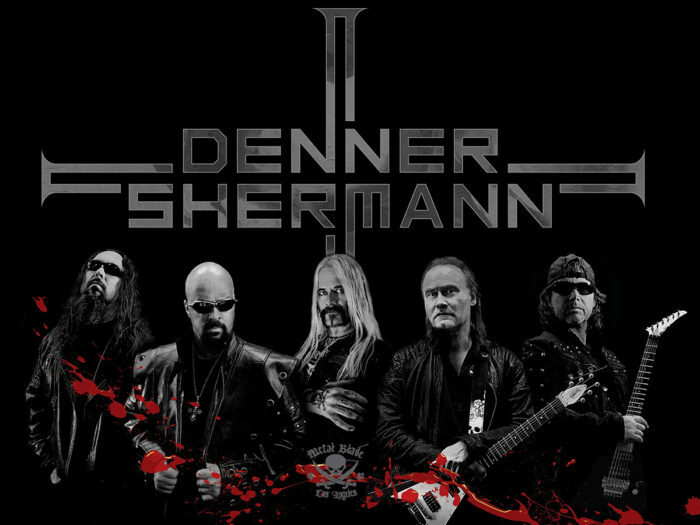 That gets layered in metal riffs, jazzy guitars, industrial-style vocals and complex percussion. The Gravity of Impermanence despite having a cool-sounding name delivers almost nothing of what we want from progressive metal, which is puzzles. Games. Brain witchcraft. Interesting twists and turns that make us look forward to another day of being alive, again. 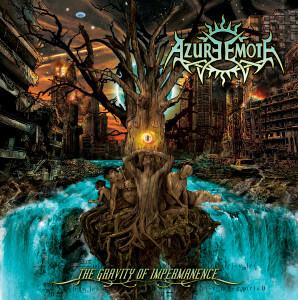 Instead, Azure Emote deliver relatively consistent surges of volume in vocals and drums, and “unpredictability” that’s so predictable it’s like watching a dancer so bad she lunges in exactly the wrong direction at the wrong time. As if sensing this is paltry, the band experiments with extensive vocal weirdness and frequent build-up/break-down types structures. Perhaps looking for some underground cred, Azure Emote throw in every third riff as something vaguely death metallish in the Nocturnus-Obliveon spectrum of technical riffs. However, without the context to support it, it becomes random instead of interesting.